Get Your Head Wrapped with Cee Cee's Closet on November 11 in NYC! 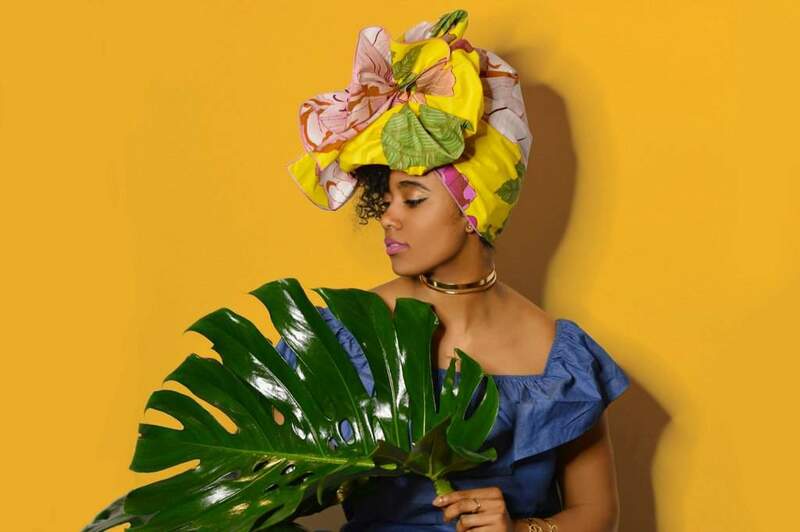 Get Your Head Wrapped with Cee Cee’s Closet on November 11 in NYC! Are you a fan of a good head wrap? Looking for tutorials or new head wraps to buy? Check out the NY hair and beauty event, Cocoa & Curls by Cee Cee’s Closet NYC! My favorite African head wraps always come from Cee Cee’s Closet. 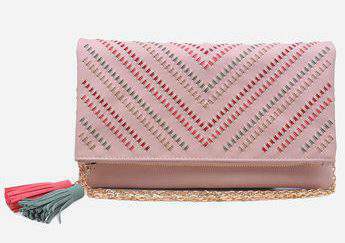 Sourced from Nigeria from female tailors, the material is rich in color, pattern, and textile. Doesn’t this just sound luxurious? Let me go a little further. 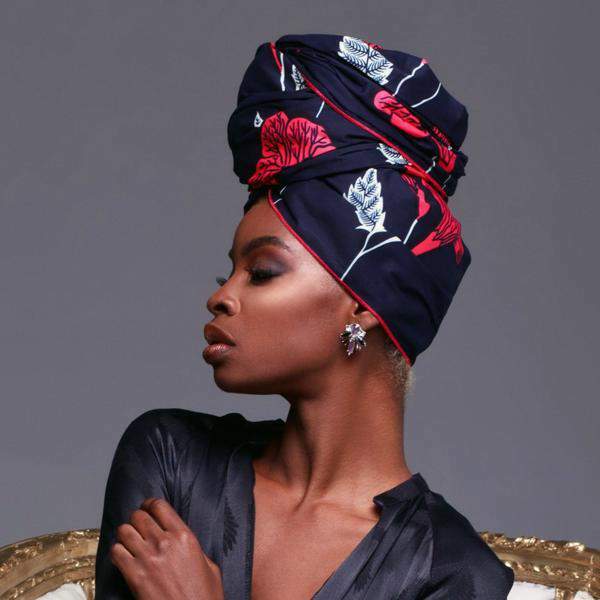 They offer head wraps in various sizes and ones that are also lined with poly-silk to prevent breakage. *YES PLEASE* Cee Cee’s has been featured in top publications such as Essence, Buzzfeed, Allure, and Teen Vogue and they regularly show out at the annual Zuvaa Pop Up Tour. In celebration of their two year anniversary, Cee Cee’s is offering a wrap class this Saturday, November 11 in New York City. The event, entitled ‘Cocoa and Curls’ will be what Cee Cee’s calls “A Masterclass for The Natural Hair Community’s Most Popular Accessory”.Naturals in the building!!! 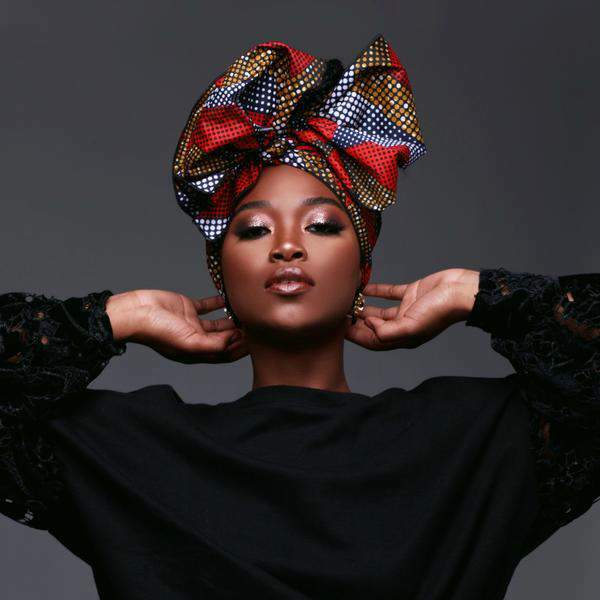 The class will include live tutorials of Cee Cee’s most popular styles and step-by-step tutorials on how to style their iconic headwraps, bandanas, and half-sized headwraps, otherwise referred to as shorties. Tell me these DONT look glorious?! 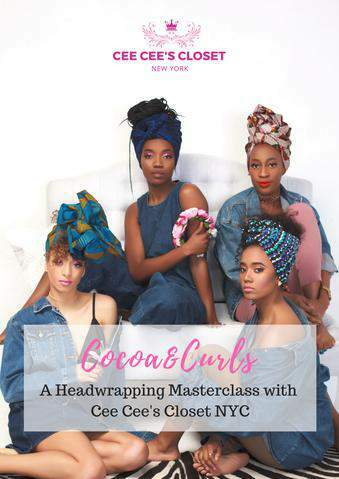 You can learn everything from a basic wrap to the majestic bows and regal turban styles in person, rather than trying to figure it out via Youtube *like most of us do* , and you can learn from the experts themselves, co-founders Chioma and Uchenna Ngwudo. This is an event you won’t want to miss! For the beginning head-wrappers or the long-time wearers, this event will be a blast with our favorite head wrap company. Get your Tickets to Cocoa & Curls at Eventbrite.com! Just in time for the holidays too! Bring a friend, grab some seasonal drinks, and check out their exclusive collection of head wraps and clothing. See you there fashionistas! Cee Cee’s Closet Launches Their Holiday Collection! Your November Plus Size Events Roundup! I’ve done a simple headwrap a few times (spiraling the tail in the front) when my hair was freaking out. But I wasn’t sure if I was appropriating, and I don’t want to be ~that~ white girl, so I stopped. Girl do you!!! Forget that mess. I work at a post office and wear my wrap and little old white ladies come in and have theirs all wrapped too. We laugh about the real reason we have it wrapped. But they rock them so you can too! I love look and, I’ve worried about appropriation too. From the commentary I’ve read, white folks should avoid African scarf patterns and wrap styles, otherwise we are ok. I’d love to hear additional dialogue on this. Yes, I’ve only used cheap Old Navy scarves. I am not trying to be Rachel Dolezal! There are so many style and ways. If anyone has a problem ask them what about the white South African girls who most of her friends are black, should she stop wrapping also. So…using a TurbyTwist doesn’t count, huh? BAHAHAHA! My Mom wore headwraps for years in the 70s and looked amazing. I will have to find out from her how to do it. Love to wrap most days. There was a convention last weekend with all different cultures in Michigan last weekend. Fresh Plus Size Jewelry Finds Perfect for the Summer! Here’s Where to Find the Perfect Hats for Big Heads Big Hair for the Summer! Cool News! The And Comfort Showroom Comes To San Francisco this Summer!